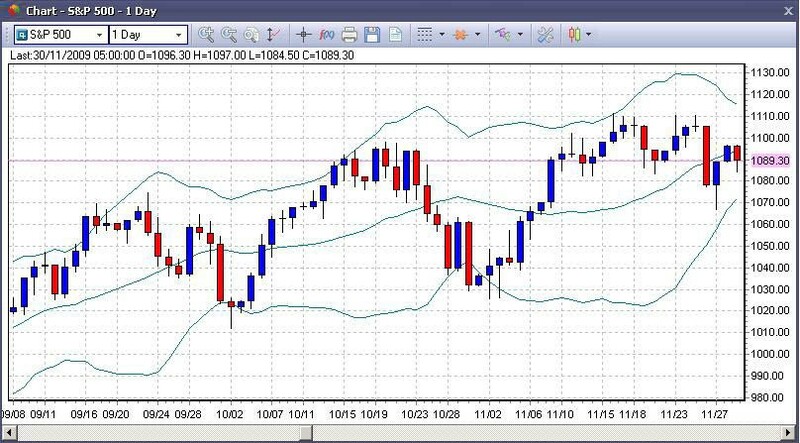 Bollinger Bands® are volatility bands placed above and below a moving average. Volatility is based on the standard deviation, which changes as volatility increases and decreases. The bands automatically widen when volatility increases and narrow when volatility decreases. This is one of the most popular technical analysis techniques. The closer the prices move to the upper band, the more overbought the market is, and the closer the prices move to the lower band, the more oversold the market is.